NEW YORK — October 17, 2017 — CAIS was awarded the 2017 Wealth Management Industry Award for Outstanding Achievement in Hedge Funds/Private Equity for the second year in a row at the Wealth Management Industry Awards in New York City on October 11, 2017. From a field of 500 companies across a variety of award categories, CAIS was acknowledged for the rapid expansion of its hedge fund and private equity product menu along with its efforts to integrate with other wealth management platforms and enhance the advisor experience. CAIS hit another important industry milestone earlier this fall when it surpassed $5.0 billion in total platform volume, solidifying its position as the industry’s leading financial product platform for the independent wealth community. The company is on track to grow its curated menu of products by another 25% by year-end. Founded in 2009, CAIS serves as the primary gateway to the multi-trillion dollar independent wealth channel for private equity funds, hedge funds, real estate funds and bank-sponsored capital markets opportunities. The platform’s advisor-friendly dashboard offers easy access to a diversified menu of funds at lower investment minimums. Upon selecting a fund, the investment experience is streamlined through the use of existing investor profiles as well as an automated subscription process and integrated custodial reporting capabilities. All funds on the platform are required to undergo independent due diligence by Mercer and summary reports and ratings are made available on the platform to all advisor members. Recognizing that advisors must increasingly work across multiple wealth management platforms to accomplish their goals, CAIS has focused on facilitating platform integrations that make it possible for advisors to access CAIS’s products and research from their platform of choice rather than requiring the advisor to come to CAIS’s platform. CAIS has integrated directly with the enterprise portals of several respected wealth management firms and members of the CAIS platform can now subscribe to receive CAIS product and research updates directly in their browsers regardless of the platform they happen to be using. The CAIS platform has established single sign-on capabilities with the Orion, Envestnet and Tamarac platforms to allow seamless access across platforms. CAIS can now also publish content, product and research updates directly to members within the existing user experience of the Orion and Envestnet platforms. While CAIS will serve advisors in whatever platform they choose to operate, the CAIS platform’s navigation and content have also been enhanced to intuitively introduce advisors to the nuances of alternative investment asset classes and capital markets offerings via a guided tour of relevant research from Mercer and other partners. CAIS remains committed to harnessing the full array of its distribution and technical capabilities for the entire independent wealth channel, benefiting RIAs, IBDs and product providers alike. 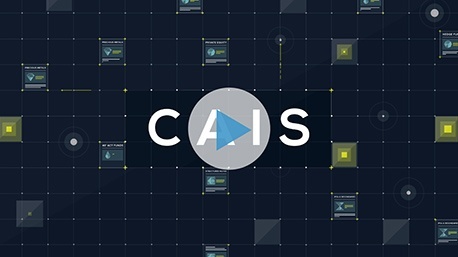 CAIS is the leading financial product platform offering independent wealth management professionals access to a diversified menu of funds and products. CAIS provides streamlined execution to an expanding list of alternative investment funds, IPOs and follow-ons, and structured notes. CAIS delivers a suite of portfolio construction and reporting tools, and complements its fund offering with independent due diligence provided by Mercer. CAIS is an NFA member with securities offered through CAIS Capital LLC, member FINRA, SIPC.